But Harrington insisted that he wasn’t one of the Tiger huggers and only had time to look after himself as he tees it up at Augusta for the 11th time. Harrington rapped: “I didn’t watch Tiger’s press conference. There is the small matter of a golf tournament going on this week and a bit of work to be done. “A couple of people commented on it. Most reacted by saying how much better Tiger’s press conference when he was being asked questions rather than having a prepared sort of statement. “As regards to content, the only one I got was, did I give him a hug; I think he said he got lots of hugs. Harrington is coming into the Masters under the radar and with form on his side after getting into contention in his last three starts. 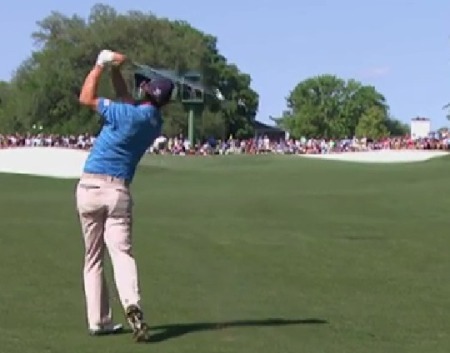 And while many are wondering if a young gun like Camilo Villegas, Anthony Kim, Martin Kaymer or Charl Schwartzel can win at Augusta, Harrington insisted that he can’t afford to worry about anyone but himself. He said: “If I am not going to win on Sunday afternoon, I will be rooting for one of my European friends. Mind you, some of my friends are over here too. 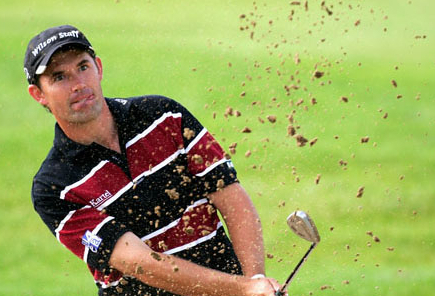 With two Opens and US PGA title in his locker Harrington only has eyes for major No 4. Of the active players, he is in an elite club with Phil Mickelson, Ernie Els and Vijay Singh with three majors apiece. Winning at Augusta would leave Harrington needing only the US Open to complete the career Grand Slam and join Gene Sarazen, Ben Hogan, Jack Nicklaus, Gary Player and Tiger Woods in golf’s most exclusive club. Asked what winning the Masters would mean to him, he said: “It would be exceptional. People have been saying, who is going to get the fourth major, break out of that pack of three. “I won two of the four different majors, obviously the Masters and the U.S. Open I haven’t got. If I won a fourth, I would dearly like it to be the Masters or the U.S. Open. Harrington couldn’t stop the flood of questions about Woods and confessed that he couldn’t imagine trying to win the Masters after five months out of the game. He said: “I would be a hopeless wreck, but that’s my nature. “You have to remember that Tiger, of all of the competitive players, he has a good ability to bring his game from the practice round to the golf course and I have a very poor ability to do that. “That’s why it couldn’t work for me and it could work for him and it’s not ideal and I’m sure he doesn’t think it’s ideal either. 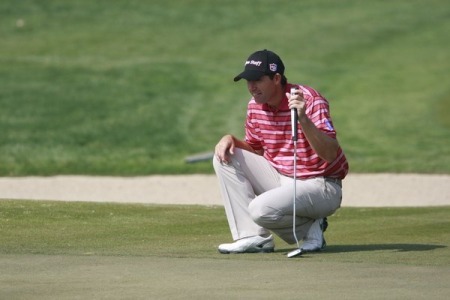 Padraig Harrington confessed that he is being too hard on himself in the run up to the Masters. The Dubliner, 35, tied for 19th place behind a spluttering Tiger Woods on Sunday’s WGC-CA Championship at Doral’s Blue Monster in Miami.